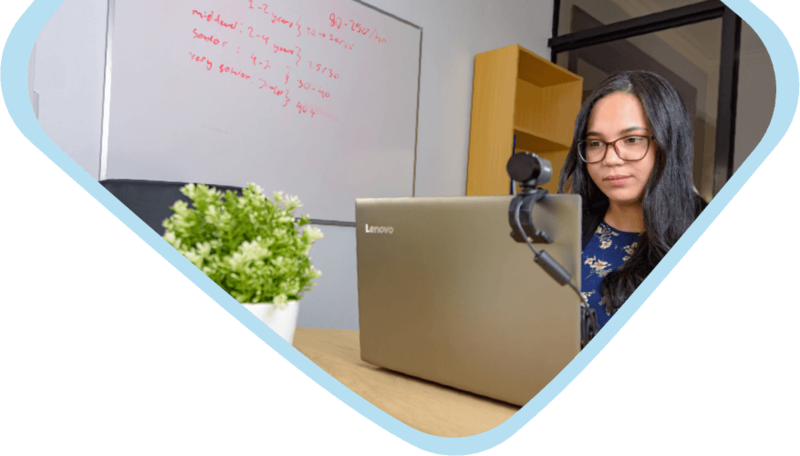 Blue Coding helps you find, evaluate, work with, and hire top software developers in Latin America. Work with developers through Blue Coding for as long as you’d like to ensure they are a good fit. You can continue working through Blue Coding or hire the developer directly once you’ve found a good match. Our proven vetting process ensures that our engineers have the right mix of technical and soft skills to make your projects successful. Work with top talent through Blue Coding that integrate seamlessly into your team. All the benefits of hiring in-house without a complicated recruitment process. Our developers are carefully vetted to ensure they’re the right technical and cultural fit for your team. Outsource your recruitment process and we’ll find the right developer for your needs. Our contract-to-hire model allows you to work with our developers on a staffing basis for as long as you’d like before hiring them directly. Get to know the developer’s work and cultural fit before committing for the long term. Outsourcing software development is an attractive for many companies looking to keep costs low without sacrificing the quality of their product. Our rates are between $30 and $60 per hour depending on the developers’ experience, skill set, and location. Risk-free recruiting and hiring means there’s no upfront commitment and no big buyout fee. Our model allows you to work with our software developers on an ongoing basis for as long as you’d like before hiring them directly. This means you get to know the developer and their work before making a long-term commitment. We start our discovery process by speaking with your key team members. We identify whether adding a developer will improve your development process, and what skills and qualities are important for your team. Based on these conversations, we create your ideal candidate profile. After our discovery process, we begin identifying candidates that are a good fit for your team’s needs. We search through our extensive database of developers, giving preference to those we have worked with in the past. All of our developers go through our thorough vetting process to ensure a good fit for your projects and team. When we’ve identified the right developers, we present you with a profile that includes a brief on the candidates’ work, previous projects, and their development experience. Next, we arrange an introductory call with your team to meet the developer and get to know them. Once you’ve found the right developer, we simply need to set a start date. Blue Coding will check in regularly with your team and the developer to make sure things are going smoothly. We provide all the support you and your developer need to ensure a successful working relationship. Ready to find the developer you need? Give us a call or drop us a line.